Ex-Halifax Town goalkeeper Adam Legzdins has signed for Premier League side Burnley on a three-year deal from Birmingham City. 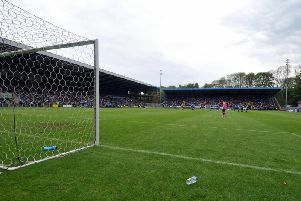 The 30-year-old had a brief spell at Halifax on loan from Birmingham back in 2005 before re-joining The Shaymen on loan in October 2007, when he was a first-choice stopper. He has also played for Burton and Derby and will act as back-up at Turf Moor to England international Tom Heaton.